Posted by	Joie Power, Ph.D. Essential oils have many great uses and can be a wonderful addition to a healthy lifestyle, but they must be used wisely if you want to enjoy their benefits. 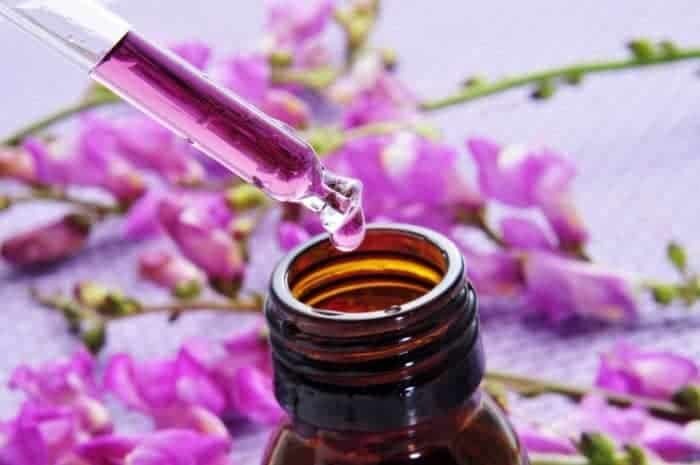 These days there is conflicting advice about essential oils and it can be difficult to make good decisions about their use. 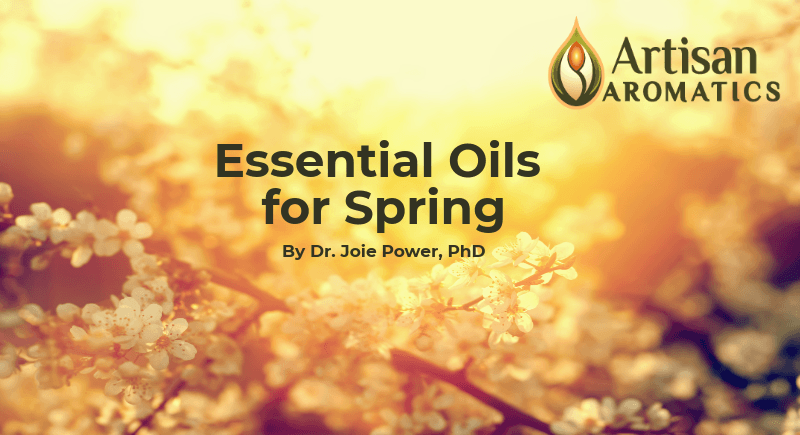 As aromatherapy has moved into mainstream awareness, essential oil companies have sprouted up like mushrooms after a spring rain and in many cases, the primary goal of these companies is to promote essential oil use as aggressively as possible in order to maximize sales. 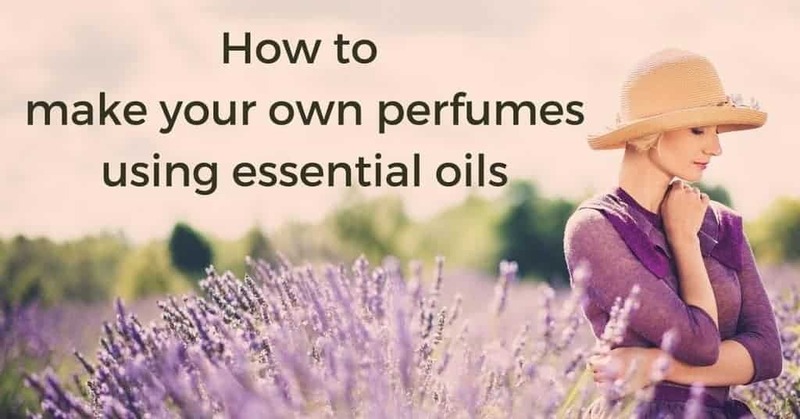 The result is that a lot of the advice out there is simply aimed at getting you to use more essential oils and is not based on wise practices. One of the examples of bad advice is that it is safe to use most, or some, essential oils on the skin without first diluting them in vegetable oil or some other suitable carrier. This is simply not true and one effect of this bad advice has been a sharp increase in the number of cases of adverse skin reactions caused by applying undiluted essential oils to the skin. Many people who support undiluted use of essential oils will say they have done it for years without experiencing any problems. What they don’t understand is that skin sensitization, which is one of the most common skin reactions, may take many years to develop. In other words, you may use a given essential oil for decades with no sign of trouble and then develop a severe reaction to it. By diluting essential oils prior to putting them on the skin, you significantly reduce your chances of developing serious skin reactions of most types. 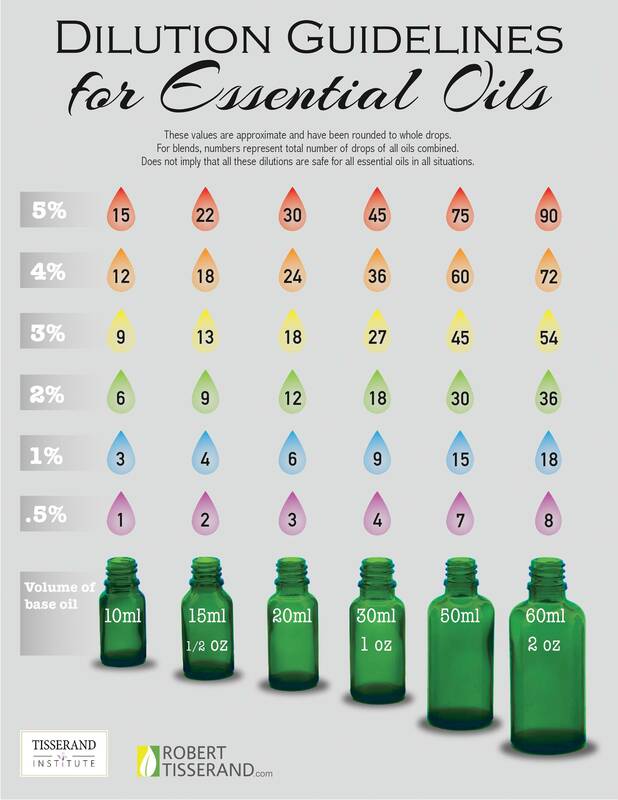 This handy guide (below) to proper dilution of essential oils is from Robert Tisserand and will make it easier for you to use your essential oils properly. Remember, some essential oils have a greater potential to cause adverse skin reactions than do others so not all can be used on the skin at the highest levels of concentration suggested here. Know the properties of an essential oil before you try it and then use the guide to achieve the appropriate dilution. 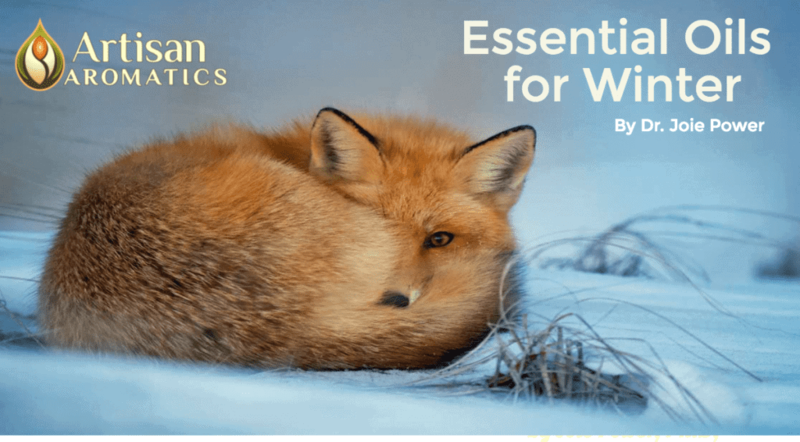 To learn more about recommended maximum concentrations of specific essential oils, see Tisserand and Young’s book, Essential Oil Safety, 2nd Edition (2014). Use an essential oil pipette to accurately dispense the drops one by one. We recommend the 3mL size, which has graduated marks on the sides. There are a variety of excellent carrier oils to choose from for your desired scent and texture, such as Sweet Almond, Grapeseed, Coconut, Jojoba or our proprietary Massage Base Oil, to name a few. Stay tuned for a future article on the various types of carrier oils. 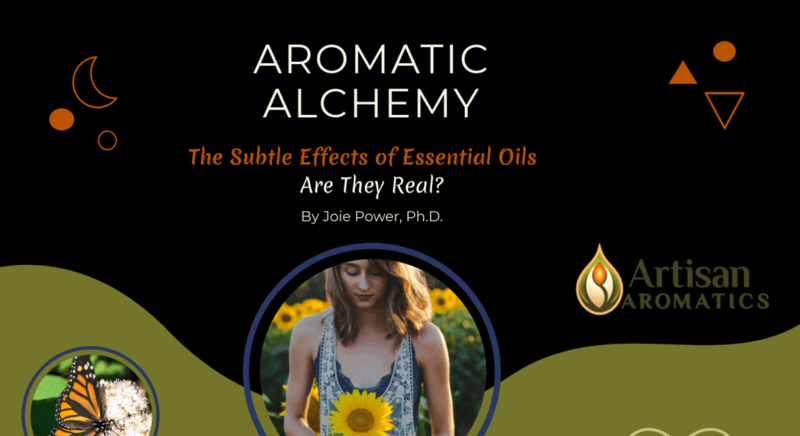 The Subtle Effects of Essential Oils: Are They Real? You don’t have to be a perfumer or aromatherapist to make your own perfumes. It’s a simple, fun project that yields thoughtful, handmade gifts and a house full of fragrance. Are you searching for the perfect crafty project that will yield unique, thoughtful gifts for the holidays? Thank you Helene: I’m excited to hear about the book! Thank you Joie for this great information, it came at a very opportune time as I am writing my first book about the safe usage of EO’s for beauty. Joie, thank you for the chart from Robert Tisserand; it will be very helpful. I generally dilute at 1 percent per 1 ounce of carrier oil. Should I need a stronger blend, now I can be more exact in making it. Thanks!